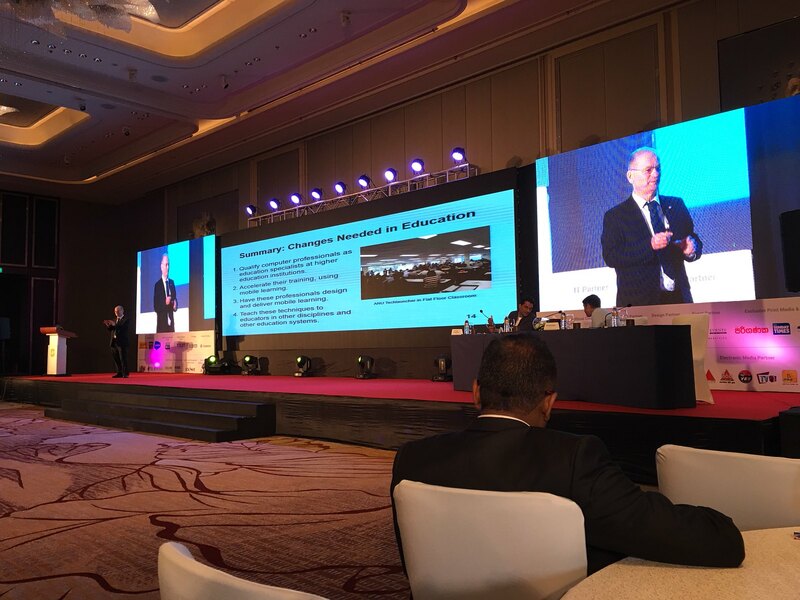 Greetings from Colombo, where I gave a plenary presentation for the Computer Society of Sri Lanka (CSSL) National IT Conference (NITC 2018). I suggested Sri Lanka, Australia and other countries of the Indo-Pacific region could jointly educate their IT professionals to teach using mobile devices. I suggested "Colombo Plan 2.0", which would see a genuine partnership between the countries. Computer professionals who teach at universities would be trained using mobile learning to apply mobile learning for their students. These professionals would be recognized as having specialist teasing skill within their discipline of computing. These, and other students, could learn in online groups with people from around the region. Teaching students in multi-national online groups, I suggest, will also help where students later travel internationally to continue their studies. China has a Belt and Road Education Plan as part of the Belt and Road Initiative (also known as the "Maritime Silk Road"). This is for Chinese universities and joint ventures with student exchanges, and joint programs. However, the emphasis is on face-to-face education. An m-learning initiative could complement, rather than necessarily competing with this. ps: Next stop is Singapore, to talk on energy use and flexible classrooms at EduBuild Asia 2018.